Coming back to life after a long weekend is hard. It’s Monday, only it’s not. It feels harder then a regular Monday. That’s how today felt. Especially when it’s raining. Rain should equal an automatic stay-home-in-bed pass for the world. It’s just better that way. This weekend was pretty great in our household. Brats, family dinners, our anniversary(holy crap we have been married for 7 years?! Oh, and holy crap I got my husband to eat Indian food and he liked it!! ), swim lessons, long walks, farmers market, gardening. It was a perfect weekend. Which made the start of the work week so much harder! Do you ever feel like you need a vacation to recover from your vacation? That’s kind of how it went. We celebrated my mothers birthday on Sunday with dinner at their house. I think she would have liked for me to just wrap up the baby in a bow and present her to her for the day. She sure is smitten with that kid. And the kid seems to feel pretty much the same about her. It makes going to work a little easier every day, knowing how attached she has become to my mother. Of course I brought dessert for our little dinner celebration. 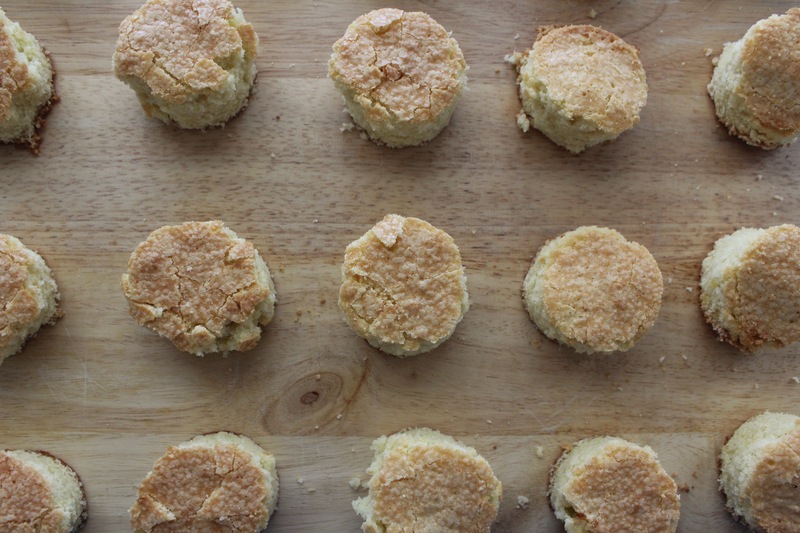 I scoured my favorite food blogs trying to find a recipe(not that hard people). I had eyed up this pie since it was posted and decided it was time. Plus it looked super simple. And it was. I made one huge mistake while making this recipe. I only made one pie. WHAT WAS I THINKING?! This pie was sooooooo good. I wanted another slice the second I ate the first and about 4 more later that night. The only thing that would have made this pie better would have been fresh farmers market strawberries. But don’t worry, I plan on making it again the second they pop up. 1. Preheat oven to 450 degrees F. Make crust: Mix flour, salt, shortening and water in a medium bowl until dough begins to hold together. On a lightly floured surface, use your hands to slightly flatten dough. Roll dough from center to edge into a 12-inch circle. Wrap pastry circle around rolling pin; unroll into a 9-inch pie plate. 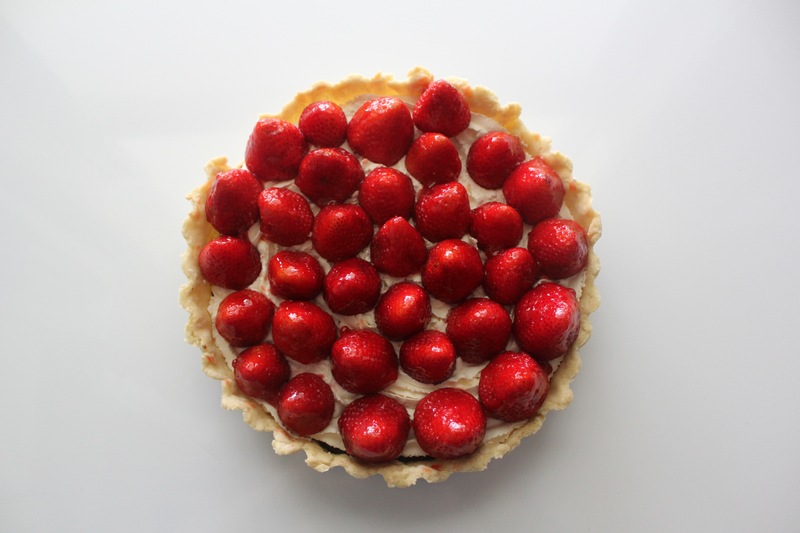 Ease pastry into pie plate without stretching it. Trim pastry to 1/2 inch beyond edge of pie plate. Fold under extra pastry. Crimp edge as desired. Prick bottom and side of pastry with a fork. Line pastry with a double thickness of foil. Bake for 8 minutes. Remove foil. Bake for 5 to 6 minutes more or until pastry is golden. 2. In a small saucepan combine chocolate and butter. Cook and stir frequently over medium-low heat until melted. Add cream cheese and liqueur. Cook and stir until smooth. Remove from heat. Stir in the 1/4 cup powdered sugar. 3. 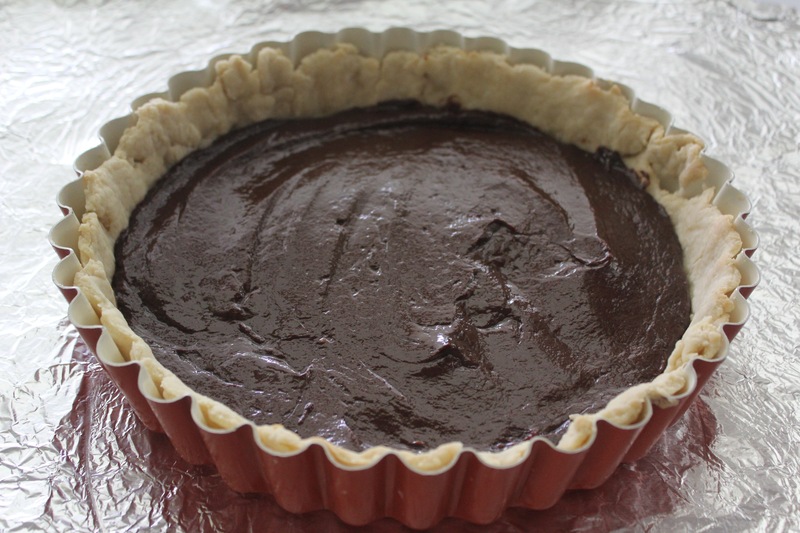 Spread chocolate mixture in bottom of baked pastry shell. Chill until firm, approximately 2 hours. Whip cream in a mixer until stiff peaks form. Beat in vanilla extract. Spread over top of chocolate. Arrange strawberries over melted chocolate and brush with melted jam. Is it possible I am falling more in love with this girl? She seems to have grown up even more right before our eyes this weekend. She figured our how to actually stand in her walker and use her feet to push herself backwards. My husband calls it moonwalking. She’s also starting to backwards crawl a bit. And she seems more and more capable of entertaining herself. At the same time she is becoming more and more dependent on me again. Not wanting to be more then 2 feet from me at all times. A fact I plan on reminding her of frequently once she hits the age of 15. I can’t help but melt when she reaches and squirms and grabs at me, even though I should be attempting not to perpetuate her total dependence on me. She has also turned into a WILD ANIMAL over the past week. A total and complete maniac. You see she has decided that bedtime is the best time for mastering new skills and playing. She has taken to rolling, scooting and attempting to crawl all over the bed. Oh and babbling and screeching and squealing. It’s adorable, hilarious and also a little insane. It has however, turned bedtime into quite the long process most nights. I’m thinking once she masters all of these things during awake time as well, this crazed bedtime girl will go back to normal. Right now I’m debating putting our mattress on the floor(we cosleep) or bringing the crib into our room(she hasn’t slept a night in it yet). She’s done this whole baby on crack routine in the middle of the night a few times as well. It’s not quite as cute at 3:45am. This week I took a lot of photos. I love taking her outside and letting her do whatever she wants and photographing her. She seems to ignore me a bit while we’re outside, unless of course I get too far away. I have over 1300 photographs of her since getting this camera in December(not counting the numerous iPhone snaps that still occur). Sometimes I feel like I should be doing more with them. There are so many beautiful ones. Then again I do make a new photo book every 20 photos I deem my favorite. Last week I loved the crisp clean light in this photo, thought this shower scene captured was quite beautiful, and thought this shot of a boy so tough was lovely. 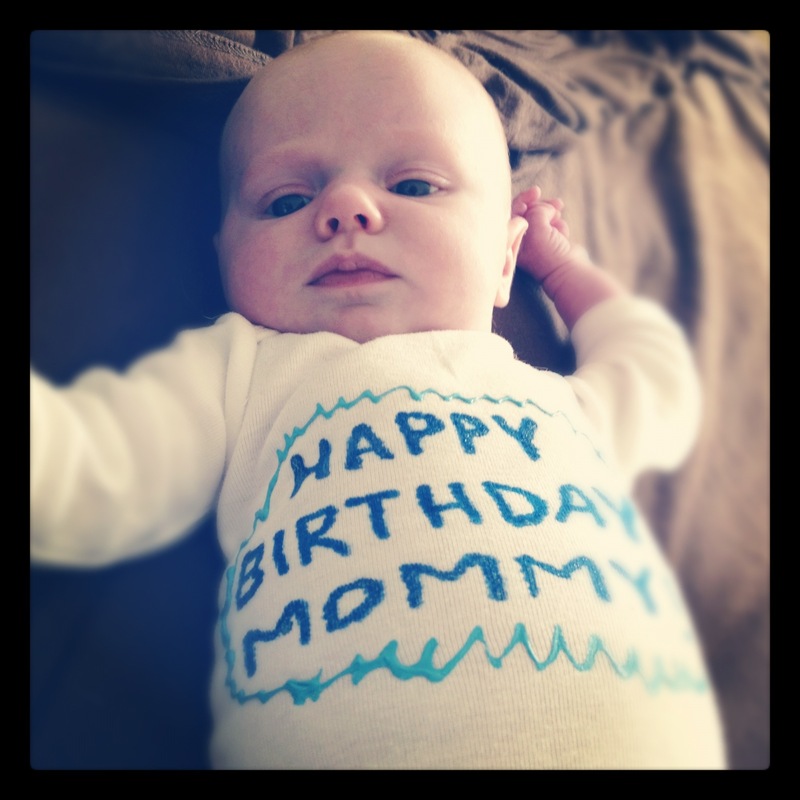 If you missed it, I posted my long and crazy birth story last week. Thank you all so much for your comments, emails and messages. It meant a lot to hear your thoughts. I finally decided to write this. To put pen to paper so to speak and make sense of it all. Luckily I wrote down most of the details in the days we spent in the hospital following her birth, as most of what happened is quite hazy these days. Recently I requested both of our medical records to try to help clear up those muddled memories and bring peace to the experience. So here it is, my long and crazy birth story. 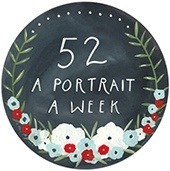 On Monday September 17th, I was 42 weeks pregnant. 2 weeks late. Most people in the medical field would have induced earlier. I was trying to go into labor naturally and have an out of hospital birth at a birth center, doing what I believed was best for my baby. On monday afternoon we had an ultrasound to check my amniotic fluid. During the ultrasound I wasn’t worried at all and asked the tech if she could see if the baby was still a girl, something I find so trivial now. We drove over to the birth center afterwards to discuss our results. Our midwife, AnnMarie, shared the news with us, we needed to transfer to the hospital to be induced, my fluid levels were too low. It was our worst fear(or so we thought). After some tears and discussion, we headed back home to pack up. Once home, AnnMarie called us, saying another option was to try and induce with a homeopathic regimind and have another ultrasound first thing in the morning. Being terrified of hospitals I choose the later. It gave me more time to prepare myself. We went home that night, had a good spicy meal, relaxed and spent our last night at home as a couple. We woke up bright and early the next morning to start the herbal induction. First there was breakfast, then a castor oil milkshake and then numerous homeopathics and herbs. At 9:00 we went to have our ultrasound. It was clear pretty quick that she had even less fluid and it was time to get her out. I was admitted to labor and delivery around 10:00 and we started talking induction. I told them I was having cramps and felt like maybe I was finally going into labor. They checked my cervix and I was finally dilated, just 1 cm. This meant I could start induction using a cooks catheter rather then cervidil or cytotec. I was ecstatic. The unmedicated birth I wanted still seemed to be in my sight. A cooks catheter is a system of 2 balloons, 1 which goes right inside the cervix and 1 that sits outside. They are progressively filled with water in order to manually dilate the cervix. This process was not pleasant and resulted in me feeling I had to pee constantly. Throughout the night my blood pressure was elevated and eventually they decided I needed iv fluids and to check my blood as it seemed I may be becoming somewhat pre-eclamptic. My contractions were becoming extremely painful at this point and shooting across to an old hip injury I had. It was indescribable and nothing was helping the pain. I was in and out of the tub, on birthing ball, in the rocker, in bed, swaying with my husband, nothing was working. At one point I projectile vomited, covering both myself and my husband. I thought ok this is it were really in it. Finally after hours and hours I was dilated enough that the catheter came out. When it came out I went to the bathroom and they quickly asked me to come back out as her heart rate had plummeted and we needed to make sure she was ok. After having me rotate positions a few times her heart rate came back up. At this point they told me if it happened again I would probably need an emergency c section, and since there wouldn’t be time to place an epidural line, I would be sedated. That was the point where I got scared. It was also the point where I decided I desperately needed some sleep. I asked about unisom and was told it might stall out my labor and wouldn’t really help the pain anyway, so I should consider morpheine. I was so lost in the pain, especially in my hip that I eventually caved in. I was also frightened at this point and in the back of my mind considering the epidural just in case I needed a c section. 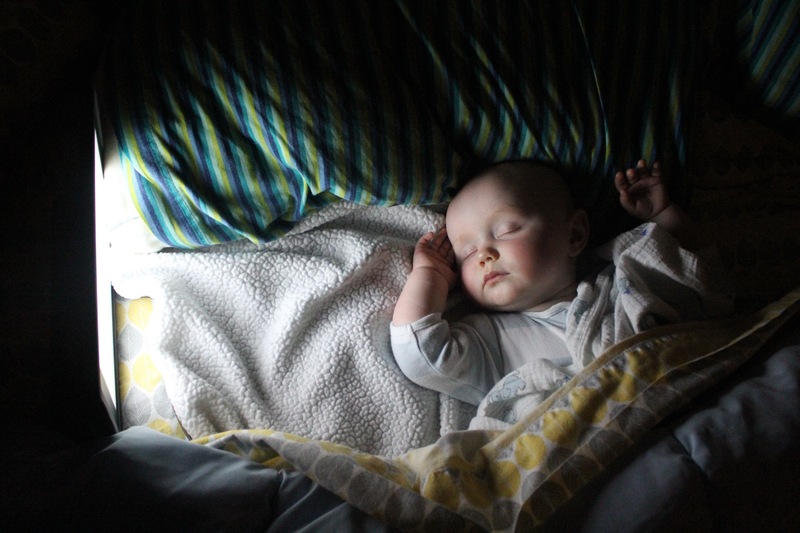 I did not want to be unconscious when my baby was born. After the morpheine I tried to rest. It made me quite high and helped the pain. I was able to lay down and breathe through the contractions for about 2 hours and let my amazing husband get some desperately needed sleep. My contractions stalled out anyway at this point and they decided I needed pitocin. They said it wouldn’t make my labor harder or more intense, but they were wrong. When it seemed like the pain was back in full force I got another dose of morpheine which did nothing to touch the pain. I was in the tub and started asking questions about the epidural. I have to admit at this point I had absolutely no idea what was going on. The midwife on duty probably made the decision more then I. I woke up my husband to discuss it with him. I simply couldn’t cope with the hip pain I was experiencing, and the contractions felt unbearable. I felt awful because this was not my plan but I just didn’t know how to cope any longer. They were upping the pitocin periodically and it was too much for me. My husband tried to remind me of what I wanted and my unmedicated plan but I was just lost. I caved into the epidural. I remember asking him if he was mad at me or disappointed in me, and him reassuring me he wasn’t. The epidural meant I had to lay on my side and flip periodically. I couldn’t feel my contractions for a while. They checked me occasionally and I hadn’t progressed at all since I stalled the night before. My water had broken earlier and since she had so little fluid already I was given a 2 hour window to make progress or have a c section. I sat down and talked to my baby and told her we were going to do this. My husband called AnnMarie and asked her to come since I wanted her there when she was born no matter what. She agreed to be there in an hour. A little while after I began to feel intense pressure and the urge to poop(sorry, it’s a birth story after all, and well, birth is messy). I told my husband to call the midwife we were working with in and she said I was finally dilated and the baby’s head was right there. Next time I had a contraction I should go ahead and push. At this exact moment AnnMarie walked in. Relief flooded over me. When I started to push I didn’t quite realize how to do it. I knew it meant pushing like I had to poop but I didn’t realize it was sooooo much more then that. I began to feel like I couldn’t do it. Each time I would push I felt like I couldn’t give enough. Everyone was saying I was almost there, and showed me a mirror to look at her head and I just kept thinking “that’s it?!!”. It still looked so far away. 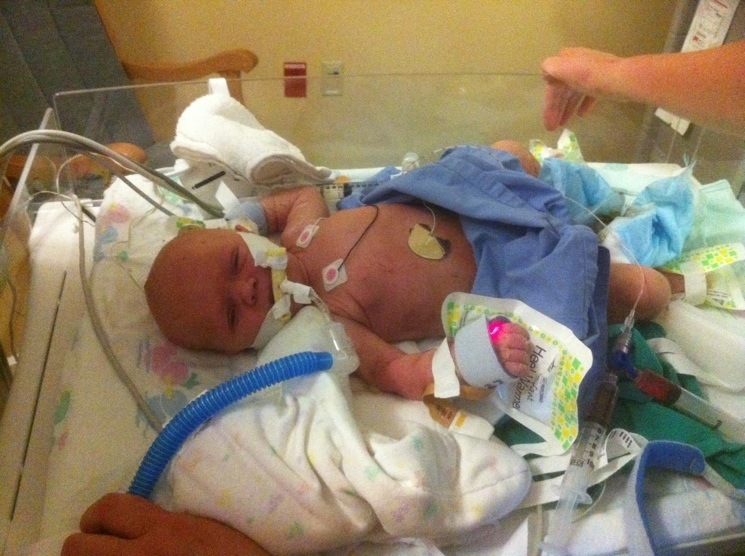 Eventually they realized there was meconium in her fluid and they called the nicu to be in the room when I delivered. I saw everyone getting out more and more instruments and realized I must be really close. I pushed harder then I thought possible and felt her head crown. I knew on my next contraction I needed her out, it felt like people were worried so I pushed with everything I had and finally she was out. She came out in a sea of meconium. She was limp and not breathing. When they finally let me shower and pee I was ready to go. Only I became extremely woozy and almost passed out. So I had to keep waiting. Finally I got to go up to see her. I had barely even touched her and definitely didn’t know what her face looked like yet. When I saw her she looked so much like Josh. She was perfect. 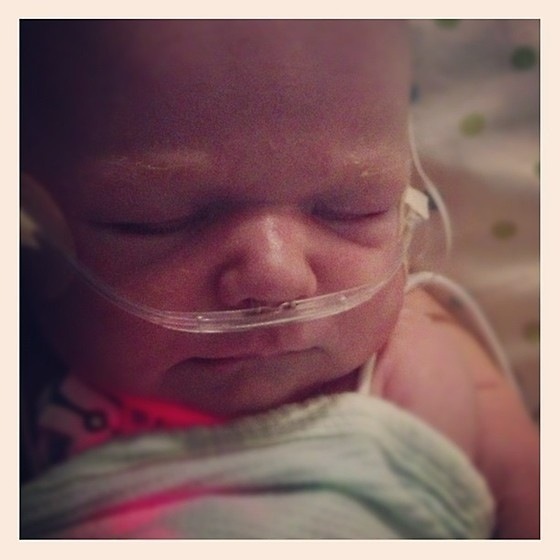 She was hooked up to a million machines and on a ventilator. I had no idea what was happening at this point. 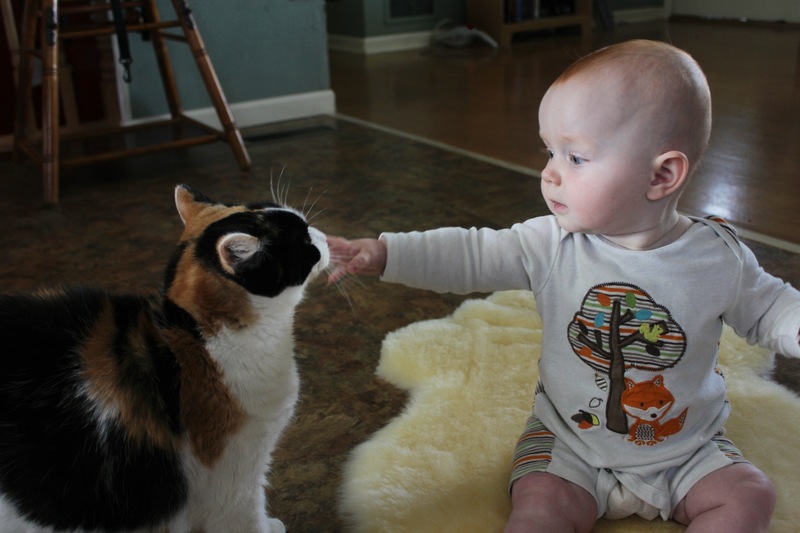 I was in a haze, flooded with hormones to bond with a baby I wasn’t allowed to touch. Months later my husband told me he could tell I was really out of it because I was talking so strangely, and overly happy. They only let me stay for a few minutes at first because they were worried about me passing out. I went back down to my room with my husband and tried to settle in. Eventually a doctor came in to see us. He was a cardiologist and told us she had a heart defect called Ebsteins anomaly. It meant her heart wasn’t getting blood to her lungs properly. They didn’t know exactly how serious it was yet but they were looking into it. He told us she may need surgery, possibly now or later in life. I almost don’t remember that discussion. I remember worst case scenario of a transplant was mentioned. I can’t picture who was in the room. I don’t know what we did next or how the night ended. I remember crying in my husbands arms at some point once everyone else left. I remember the nurse giving me some ambien and falling asleep. And then I remember waking up the next morning, realizing I was no longer pregnant, and my sweet baby was not with me. That’s when the reality of the nightmare that had started really set in. It would be October 25th before we would be home for good. Our birth story leaves off where her hospital stay begins. She proved doctors and nurses wrong, took one step forward, and 3 steps back until she made it home. It was no where near the birth I had planned. Thankfully this little baby knew better and ensured her own safe arrival into the world. I’ve come to terms with her birth more so these days. I’m beginning to own the experience rather then feeling cheated and sad. It may not have been what I pictured or hoped for, but that struggle brought me my perfect daughter and I wouldn’t change that for anything. I can’t believe it’s 20 weeks into 2013 already. My little girl turns 8 months old today. Soon she will have spent as much time outside of my body as she spent inside. It frightens me how quickly she’s growing. We had an amazingly busy and wonderful day with her today. Despite taking a nap myself I am exhausted. The hour and a half walk may have had something to do with it. She swam this morning, had tamales for breakfast at the farmers market, napped, grocery shopped, ran errands, napped again and went to the arboretum with grandma and grandpa. It was exhausting but wonderful. And apparently the place to be today to photograph engagements, weddings and babies. 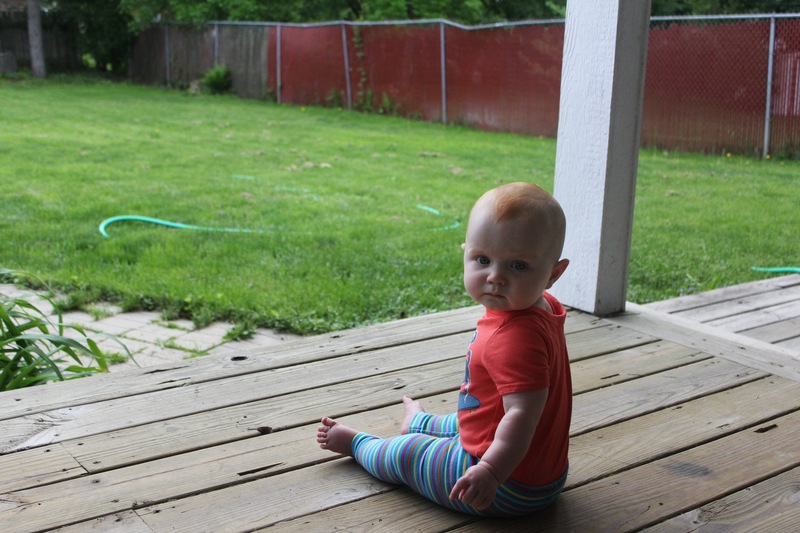 She sat in the grass for the first time(dogs at home equal no bare grass for babies), and played pretty contently during dinner. She loved the beets grandma offered up from her salad. We had a routine appointment at the hospital this week and I realized that sometimes setting foot into that place is still difficult for me. Driving down that parking ramp into the familiar garage makes my heart beat faster and my breath catch in my chest. The mixture of anxiety and nostalgia is unnerving. As far as we’ve come it still is unsettling to realize where we began this journey. Seeing the familiar faces of doctors we spent 24 hours a day with for a month is simultaneously comforting and frightening. Knowing they barely recognize her brings me great pleasure, but seeing their faces light up when they realize who she is makes me smile. It’s a strange feeling. This weeks photo is from the arboretum. Grandma was in the background terrified she would topple over. 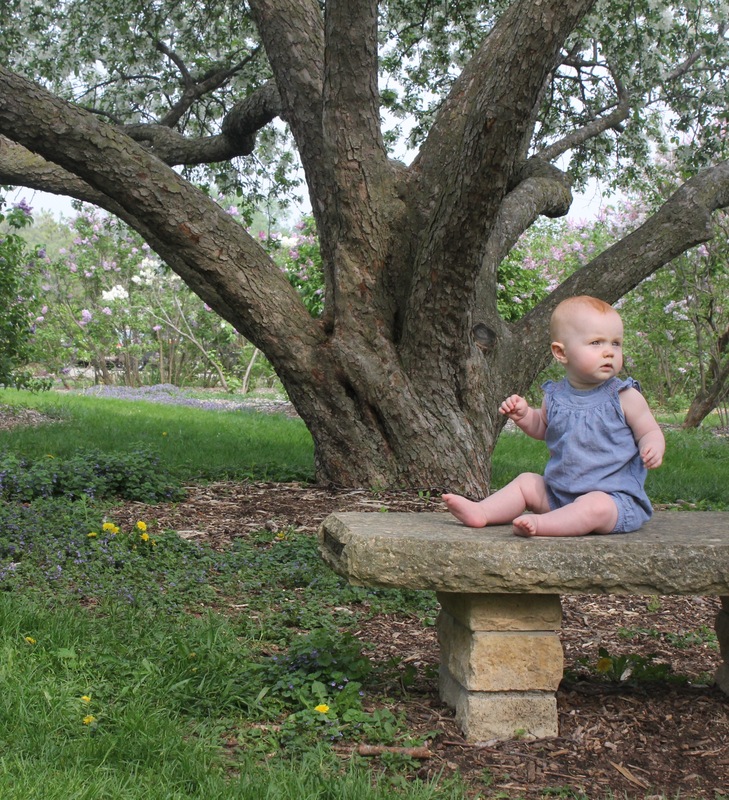 I seem to be the only one who thinks she’s capable of sitting up without falling these days(note, she did not fall, as I knew she wouldn’t). I love the how quality of light shows just how creamy and soft her skin is. I just want to drink in her babyhood for as long as possible. I’m finding it harder and harder to choose a favorite each week, as I look at more and more blogs. This week I loved this portrait, a sad moment for a sick little girl. I found the beauty in this brand new face quite stunning as well. And the portraits of her first bath are quite lovely. Every week there are more and more photos to love then the week before. It seems that everyone is collectively upping their photo skills. Are you planning something spectacular for the mothers in your life? No? Well get with it, there’s still time. For you’re baking needs I have suggestions. Do brunch, it’s the best meal of the weekend. And serve these cinnamon rolls. They are genius, as you can prep them the day before and simply pop them in the oven once everyone arrives . Oh and they’re delicious. Seriously good. 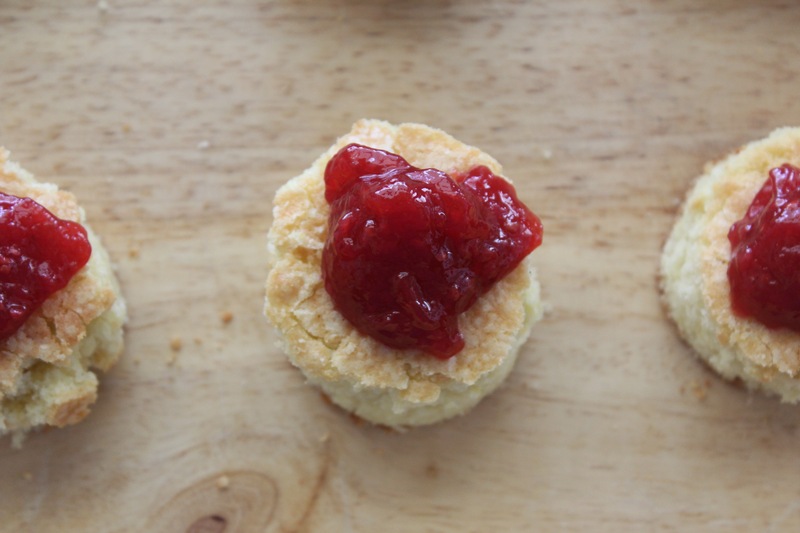 Then there are these jam shortcakes I made last week. Super easy. Super good. Make the cake the day before, then simple whip the cream and assemble the day of. 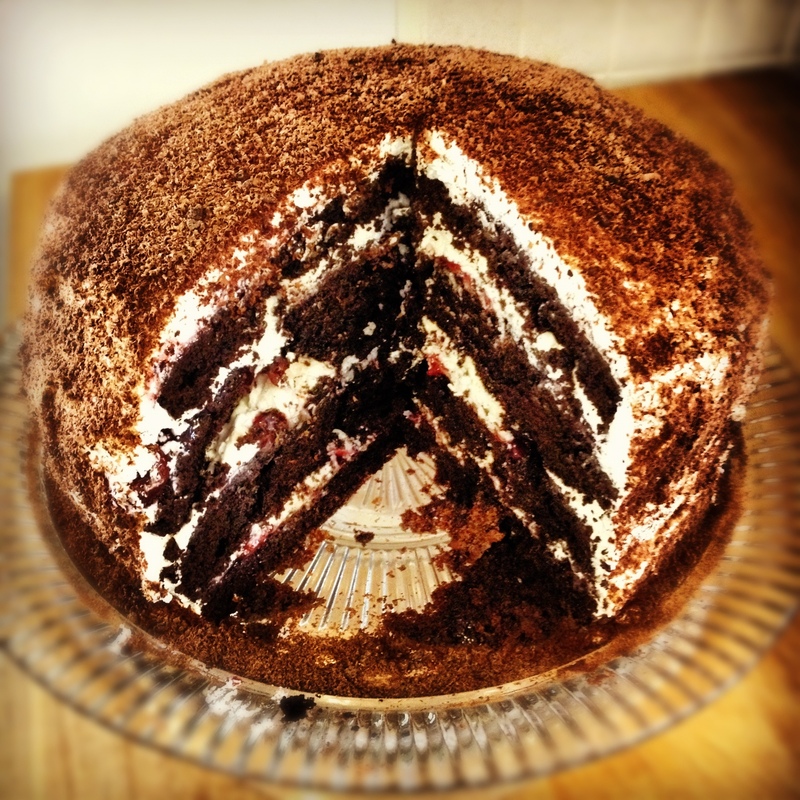 If decadence and chocolate are your thing, then this Black Forest cake is it. It’s oh my god good. 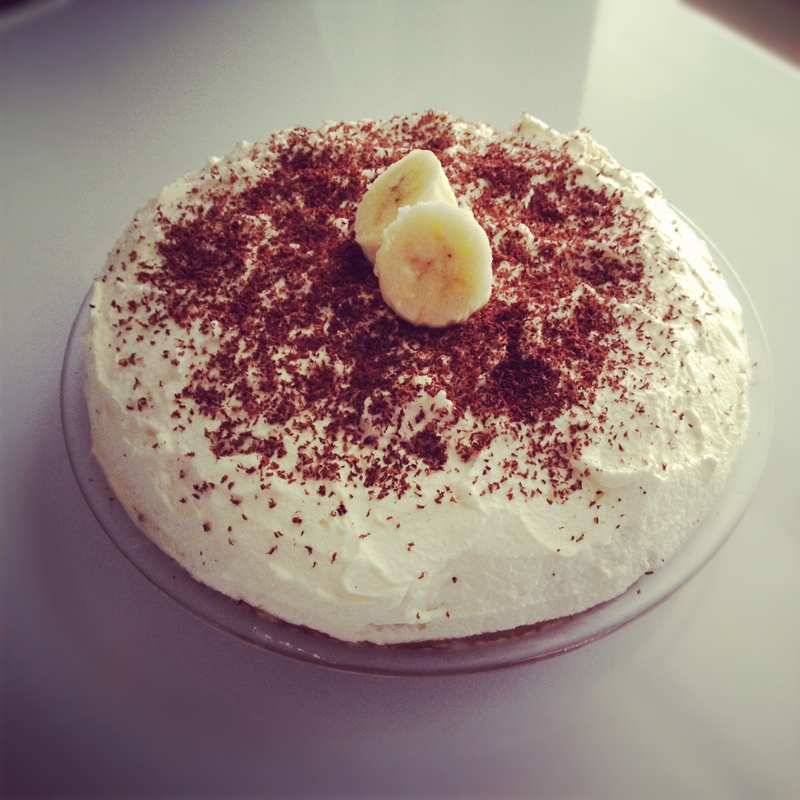 If you’re more of the pie type, then this Banoffee pie I made is the way to go. Bananas, pudding, gooey toffee. Its wonderful. Doughnuts. 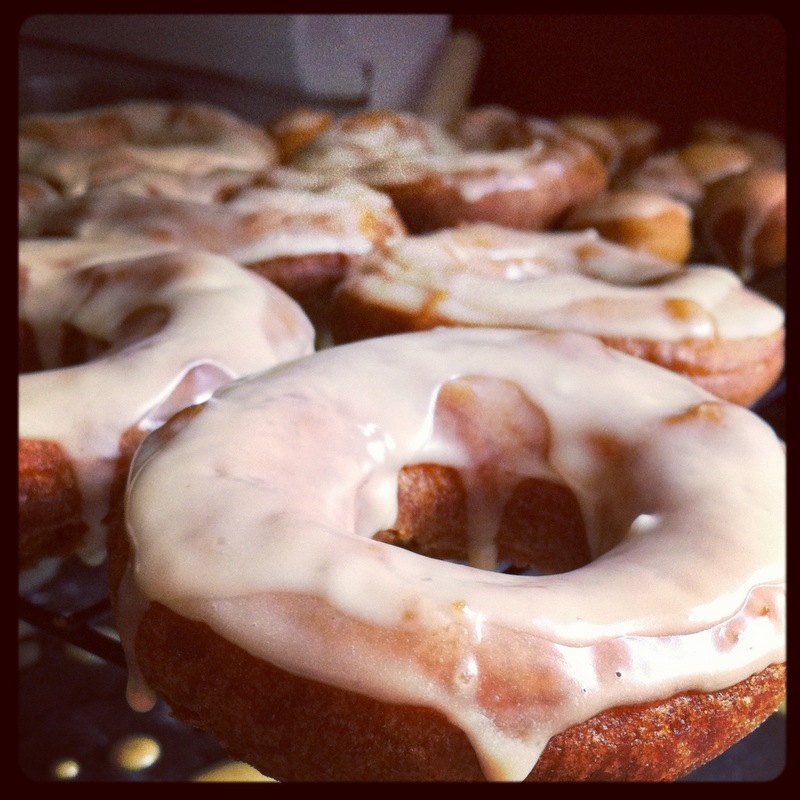 You can never go wrong with doughnuts. Ever. There are some other lovely people around the food blog world who have some pretty genius ideas as well. Tracy knows what’s up when it comes to fried eggs. Big time. She loves her fried eggs like I do. On everything. Eggs on pizza? Yes please. This drink looks beyond good. Can I have one right now? Avocados, bread and tomatoes? What else do you need? Call your momma this weekend, send her a card, make her breakfast. She loves you more then you could possibly know. It’s time to appreciate her. Head on over to Oh you pretty things today and check out me and the babe on Josie’s Mothers on Motherhood feature! Later this week I will be back with inspiration for this weekends Mother’s Day celebration! To say that this week has been a little rough on this child would be an understatement. From a fall, to her first cold and cutting a tooth, this kid has not been my happy giggly monster. Lets just say since I got home from work on Thursday night I haven’t really put her down. Like at all. She would prefer not to be more then 5 inches away from me at all times right now. I’m hoping tomorrow brings unstuffed noses and a happier girl. I hate seeing her so unhappy. She has decided she doesn’t like to lay down and sleep at night these past few days(I can’t blame her as when she does she sounds like she’s doing a baby darth vadar impression). It’s like I have a newborn again, walking the house until she’s exhausted enough to pass out. This photo was taken before the sickness set in at our house, before the tooth starting causing trouble. I love how peaceful she looks. And the light from the iPad baby monitor is like magic. Last week I loved this photo. The light is simply superb, something I’m finding myself drawn to more and more these days. 1. Preheat oven to 350 degrees. Grease a 9×13 baking dish. In a large bowl, mix flour, sugar, butter, eggs and 3 teaspoons of vanilla extract. Beat until smooth. Pour into greased dish and bake for 1 hour, until golden brown and a toothpick inserted comes out clean. Cool Completely. 2. 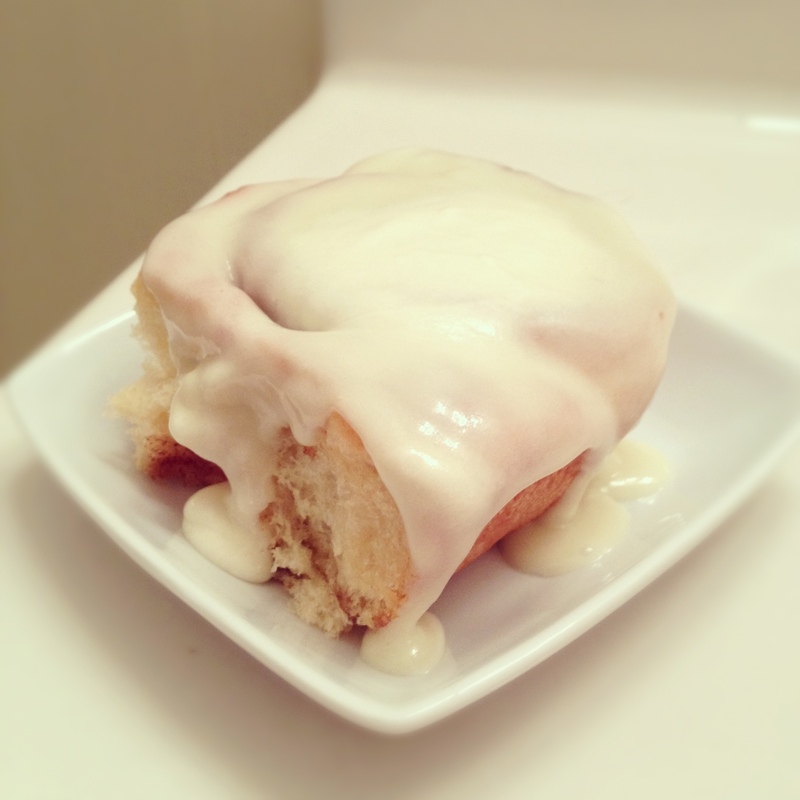 In a stand mixer beat cream cheese until light and fluffy. Set aside(here’s where I use a spatula to scrape it out of the mixer thoroughly, if I had another mixing bowl for my kitchenaid I would simply use that). Beat cream starting at medium speed and increasing as cream thickens. When soft peaks form add confectioners sugar and remaining teaspoon of vanilla. Beat until stiff peaks form. Beat cream cheese back in. Transfer to a piping bag fitted with your choice of tip. 3. To assmeble, use a ring mold or biscuit cutter to cut out rounds from the cake. 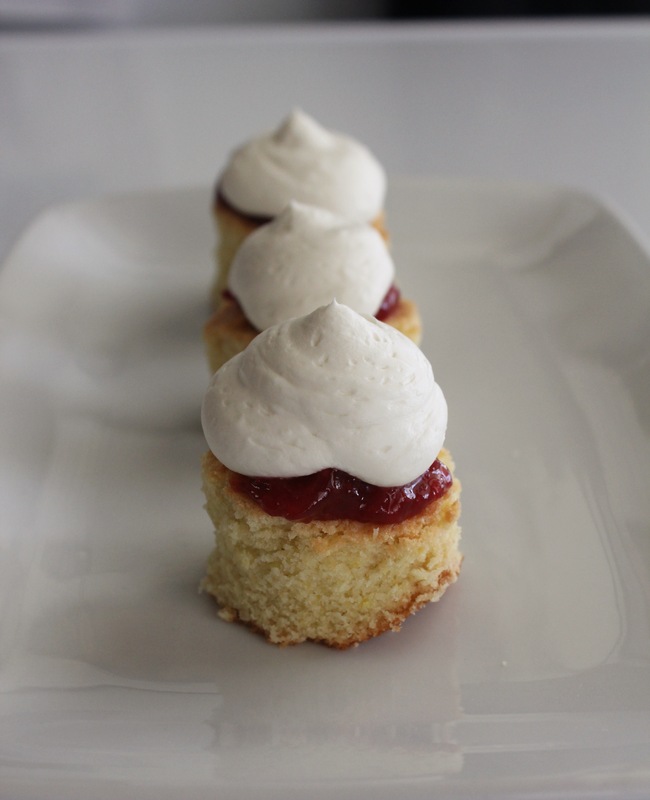 Top each with approximately 1 tablespoon of jam. Pipe cream on top of each cake. Best served immediately, however individual components store well, placing the cakes in an airtight container, and the cream in the refridgerator.